Who do you know? CharlyBoy or Charles Oputa? Everyone of us face challenges everyday, sometimes, we can get over it on our own but other times, we need to draw inspiration from other people’s life story to make us realize that we can go as far or fly as high as we want to if only we Dare to Believe. This is about The Unstoppable You. But first, allow me to introduce Mr Charles Oputa to you, the inventor of the brand you all know today as CharlyBoy, The AreaFada. I would like to share with you my story of Drive, Determination and Discipline, maybe it can help you start to believe in yourself. I grew up with an overdose of very strong family values, spirituality, morality, integrity, character and love which was somehow engraved in my DNA. Like most regular people, I come from a comfortable middle class family, my upbringing not withstanding, growing up as an Oputa wasn’t easy for me. My parents had their own idea of what they expected my future to be especially my dad, but my dream was very different from theirs. In the beginning there was no love lost between my late father and I. His tough love led me to believe he was a bully, an overbearing, cantankerous old-school parent, but from an early age, instinctively I knew I wanted to stand out. To be outstanding, to be miles away from the norm, I knew I never wanted to live under anyone’s shadow. I wanted my name to be a household name. From the beginning, I knew I wanted to be a legend of some sort, so you can imagine the many conflicts I had as a young man with my parents for deviating from the path they had chosen for me. My Guys, The hardest struggle of all is to be something different from what the average, regular, ordinary person is. I want to ask, Should anybody believe in you if you don’t believe in yourself? Hummmm I don’t think so. The hardest path we all must walk is the path we walk on our own. Alone. The strongest man in the world is he who stands alone. So we need to be tenacious, consistent, focused, determined and believe that you and only you can make your dreams come through. Oh! Yes, goals and dreams are achievable, once you have a dream that is motivated by your driving force. So, I want to encourage you to believe that no matter your background, you can be what you wanna be as long as you BELIEVE. In 1979 after my masters degree in Emerson University USA. I came back to Nigeria to start my career. I only spent 5yrs in America. My late dad was an outstanding Supreme Court Judge so through his influence and of course my qualification, I had several white collar jobs waiting for me all of which I turned down because I had this crazy dream of becoming a world famous entertainer. My family was very scandalized by my chosen path. The headlines in the news didn’t even help matters and though my Mum was very understanding, my father on the order hand actually thought I was crazy. I say crazy because a lot of People out there too thought that the flamboyant image I built as Charlyboy was crazy, weird, too loud, a bad influence to the youths, not acceptable, perceived as not responsible especially for the family image. A lot of times in the beginning of my career I also thought I might just be crazy. But then again I figured that Martian Luther King Jr. was crazy because He Had A Dream, The Wright brothers were crazy because they dreamt of flying, Nelson Mandela was crazy for allowing himself to be in prison for such a long time because of his dream of ending apartheid. Bringing it home, even our own Fela Kuti was crazy for standing up to the government in defence of the poor masses. So? what if am crazy in a very cool and calculating way that turns my dreams into reality. Through all of the stigmatisation, I have come to realize that when we lose the right to be different, we lose the privilege to be free. My determination pushed me forward and gave me the impetus to do me. I tell you all from experience that The one thing you should never allow yourself to lose in the pursuit of your DREAM regardless of any obstacles, is your DETERMINATION and your DRIVE. I Charles Oputa, made the most significant life changing decision that has brought Charlyboy to where he is today. In 1981 I moved to my village in Oguta, Imo State to get away from my disbelieving father, to hide away from the disbelieving society who saw me as a rich spoilt kid who had nothing better to do with his life. I moved and settled in the village to get away from the prying eyes of the public, to start my career on my own terms just like I had dreamt it. My seven year sojourn in the village was the hardest life teaching lessons. I call it the dark years of my life, all I had going for me was just my dream, my drive and my determination. I had no money, I was embarrassingly broke, the village had no light, no running water. My wife and I always went to the private stream to fetch water. In those days as a young African American she thought the whole experience was exotic, she felt at home because she figured she found her Roots but for me it was a living Hell. I couldn’t even afford to feed my family so my wife had to go back to America to get a job and support us. I opened a small shanti where I sold alcohol and pepper soup to the locals to survive! It was that bad. Yes It was hell on earth. But I graduated with flying colors from The Street University, yes the university of hard knocks where you build the drive and determination no human can take away from you. These are the most important combination we need to succeed in life. DETERMINATION, DRIVE and DISCIPLINE. Once you have this combinations, you become UNSTOPPABLE. And like I said, When we lose the right to be different, we lose the privilege to be free. This became my daily song in my head. Oh yes, life has beaten me down so many times over, but I never stayed down, my belief in my dream would never allow me retrace my steps. Giving up was no option. Godforbid. Throughout this journey another important character I was forced to learn was discipline. I learnt how to discipline my thoughts by focusing on the ways I could go about shaping my dream, I opened a small studio and started doing recording for myself and others. We need to understand that in this journey of life, there are stages we all need to go through before we get to our ultimate goal. We must go through the process of life. I understood early that the stay in the village was a process I had to go through to move to my next Level. So In 1989 I moved from the village Oguta to Lagos and the next chapter of my life began but not without the scars of the last seven years. My confidence level was at its lowest, my self esteem disappeared. 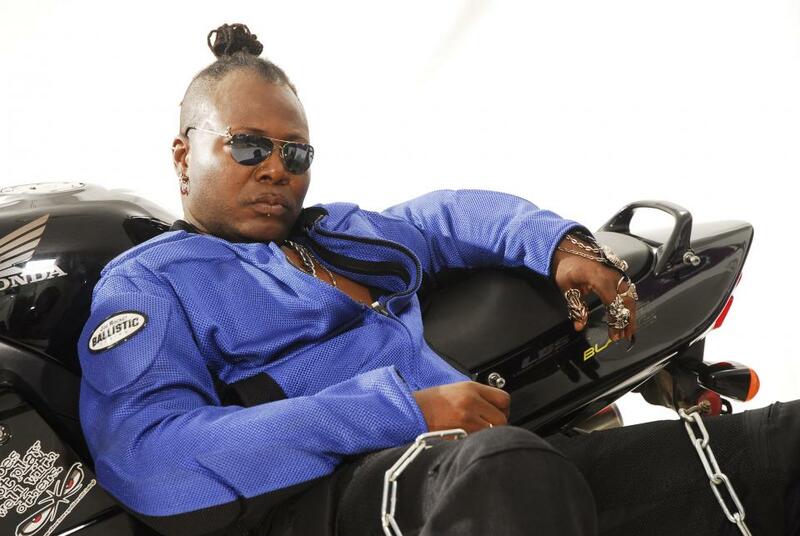 I was broken and broke however that trip to Lagos became the rebirth that the brand Charlyboy needed and 38 years later, you have seen CharlyBoy the musician, CharlyBoy the entertainer, CharlyBoy the publisher, the author, the producer, presenter, the activist, the motivator, gothic charlyboy, weird charlyboy, crazy charlyboy, charlyboy the philanthropist, charlyboy the husband, the father, the grandfather and by the special grace of God the great grandfather to be soon. Abegi, make una clap for me. Reflecting on my 64 years on earth, I have come to understand that we all must pay our DUES in the pursuit of our DREAMS? I dare say that I’ve achieved most of my dreams and what was my joker?, I did It My Way, I Dared To Be Different.. So, What is holding you back from making that life changing decisions I had to make several years ago, by going to the village. You are UNSTOPPABLE if you believe you are. CHALLENGES will definitely come but you must learn to hold on. You must be tenacious, consistent and disciplined. An undisciplined life is the surest path to failure. So in our pursuit, we must learn to be disciple about our money, our time, our integrity, our responsibilities. So today I say to you, no matter your chosen field, in the Art or the Science, the only way you can stand out and be outshining is if you Dare to be different, don’t live anyone’s dream but your own. Never stop being YOU but most importantly, never stop believing in yourself!. What I am and how I feel is simply my choice, others may not come to agree with me but really I hold my head up high and am proud to be UNSTOPPABLE and so should you. I am Charles Oputa, Charlyboy, the Area Fada.